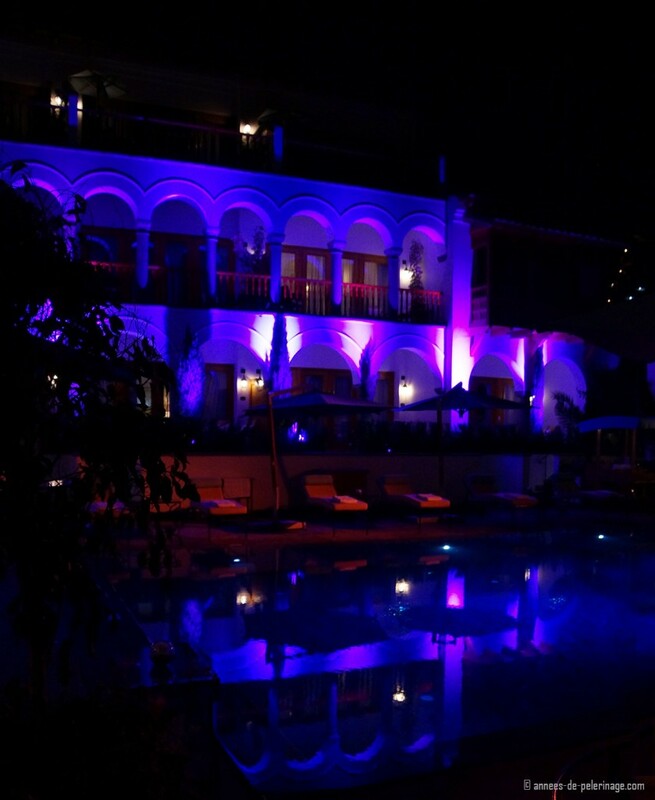 A review of the amazing Belmond Palacio Nazarenas. 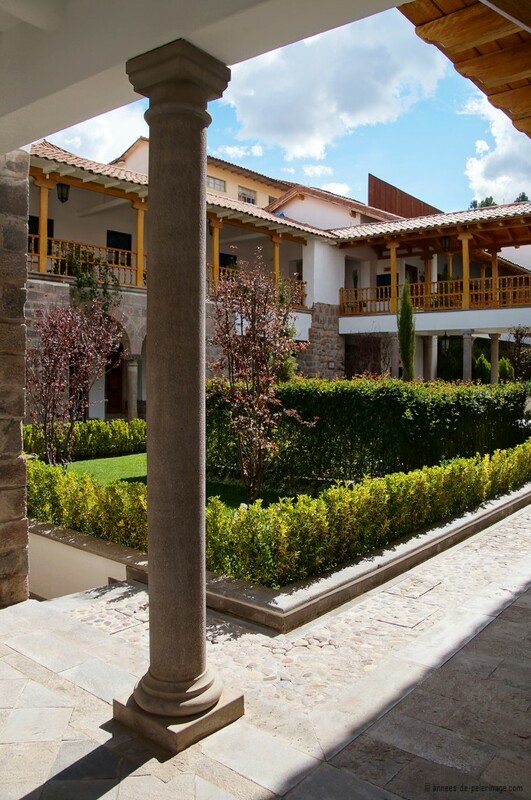 One of the most impressive luxury hotel openings in South America and probably the best hotel in Cusco, Peru. 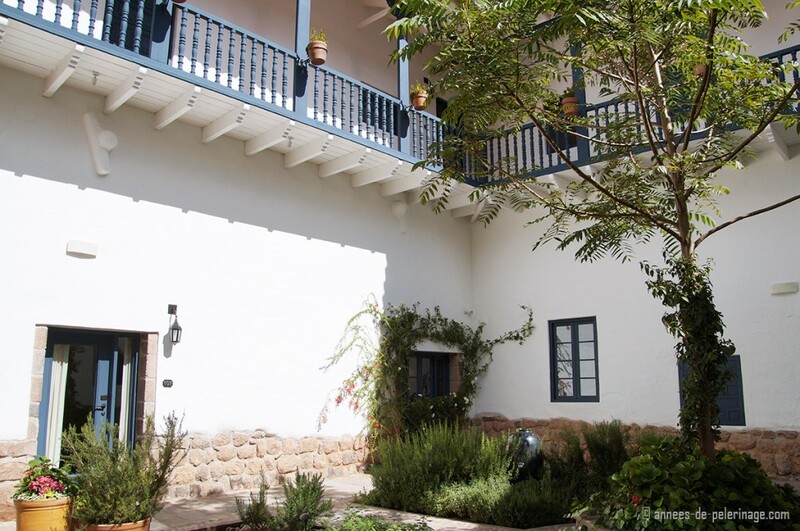 Palacio Nazarenas – a name as vibrant and exclusive that it almost beggars comprehension. 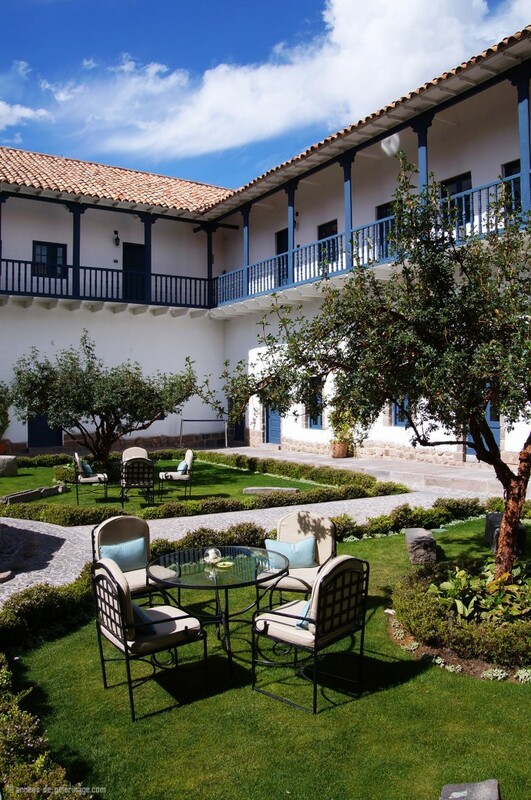 If I told you that right in the middle of ancient Cusco hides one of the most exclusive hotels in the world, you might not believe me. The former capital of the Inca Empire is, after all, best known as a haven for backpackers on their way to the famous Inca trail and Machu Picchu. But then again I’ll willingly concede that the days when luxury hotel merely meant a couple of overwater bungalows on the Maldives, are luckily long past. Note: I get commissions for purchases made through links in this post. I had no association with Belmdon whatsoever when writing this review. My opinions are my own, as was the money that paid for my stays. 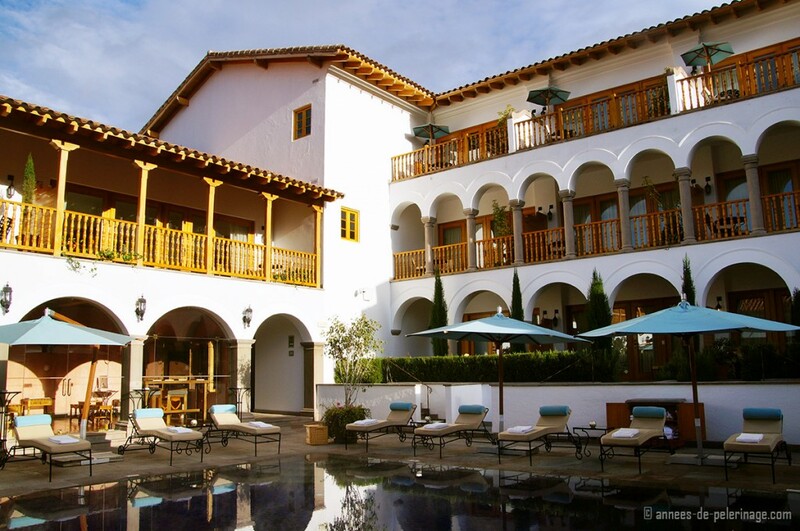 Before I go into further details, a few facts to convince you: The Belmond Palacio Nazarenas only has 55 suites. 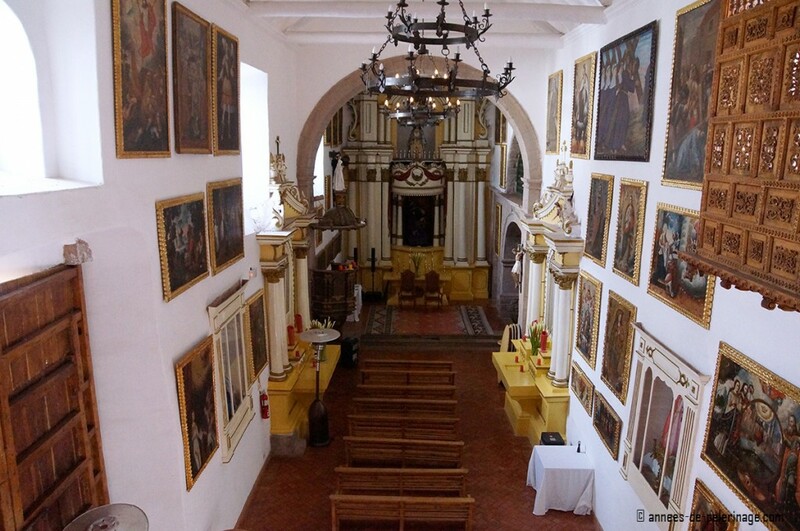 It is located inside a former Jesuit convent dating back from the 15-hundreds and stands upon ancient Inca foundations. 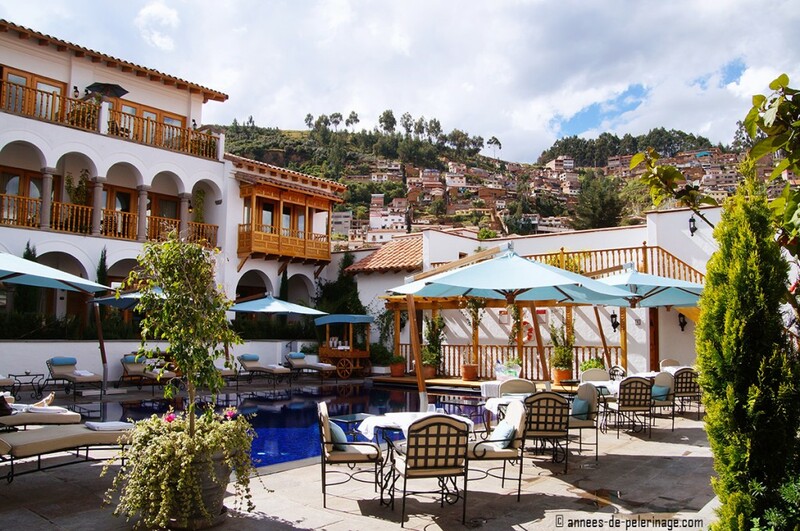 The luxury hotel is located right in the middle of the city and in the direct vicinity of all the attractions (read my guide on 20 spectacular things to do in Cusco, if you need some inspiration). 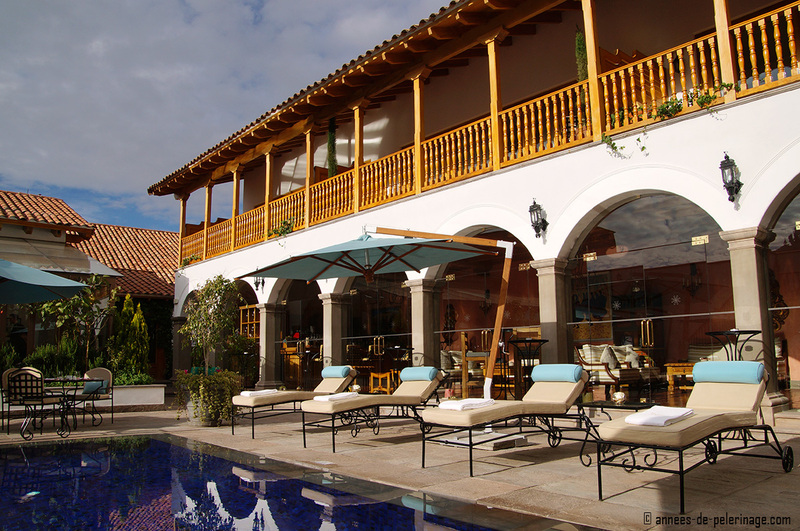 The Belmond hotel also has the only outdoor swimming pool in Cusco. All visitors will enjoy a complimentary butler service in their suites, which includes a minibar and even cocktail services. 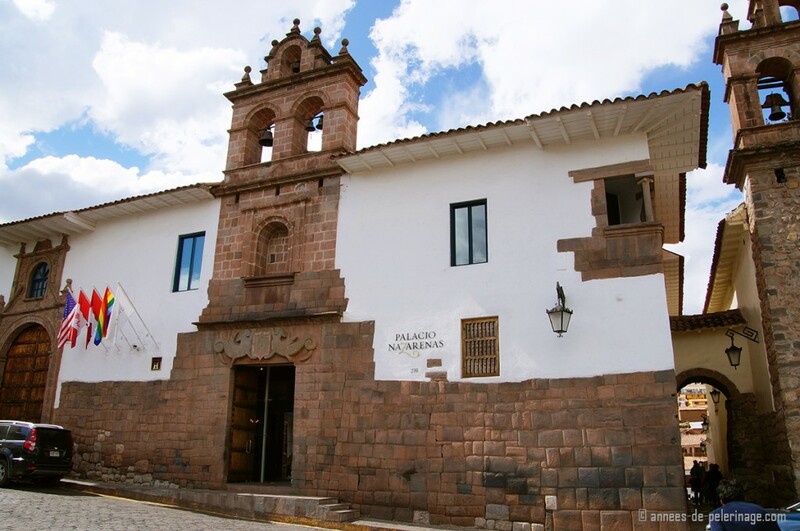 To top it all, the hotel has its own church – and all that at an altitude of 3.400 meters above sea level. Talking about wow-factor, eh? 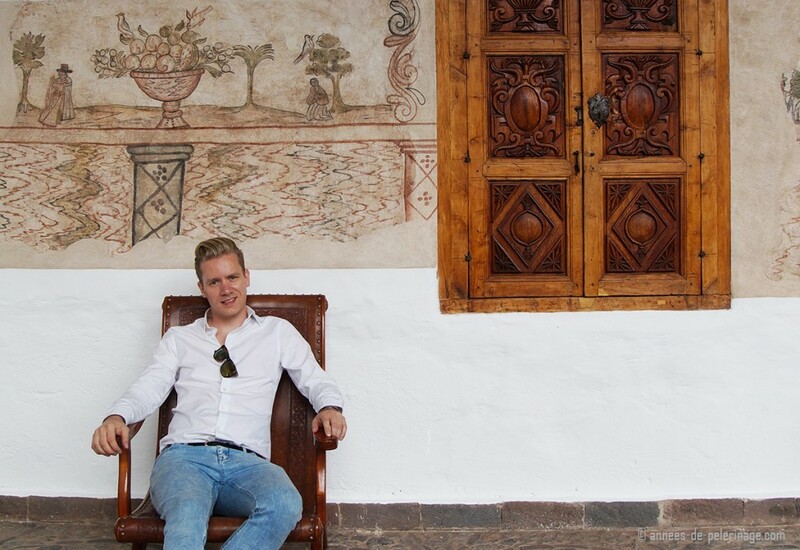 There are some more pictures on booking.com, where I booked my stay there. Are mine better? Tell me in the comments below! 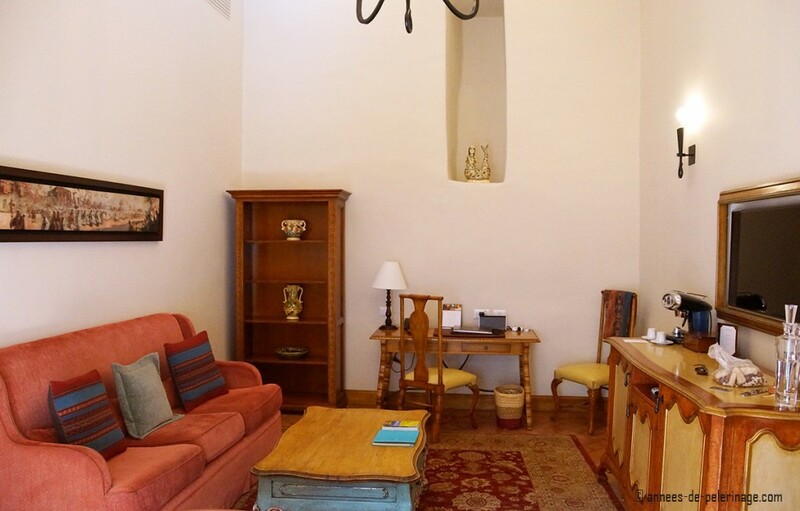 All suites are located inside the historic building and furnished in a matching way. The suites are rather dark since the cells of the old convent weren’t built for their view but contemplative introspection. 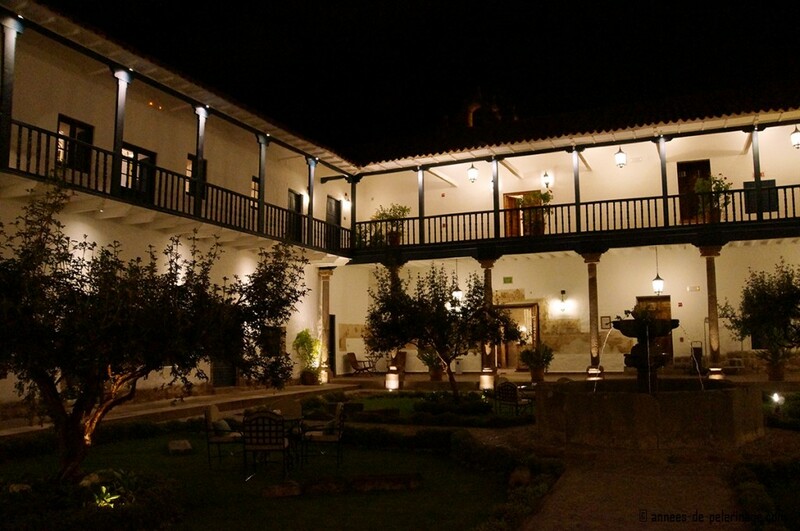 If you come with these kinds of expectations, I’m sure the Palacio Nazarenas will be the best hotel in Cusco you could choose – right in the middle of things, without being stressful. I have to say I really loved the bedroom. It had this distinct colonial look and feel, while still being regal. 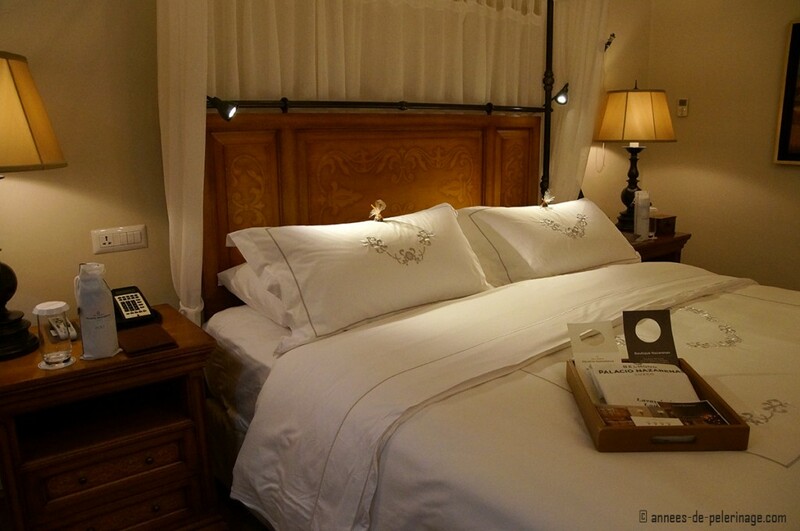 Especially at night, with all those muted lights, it was the perfect place to fall asleep. 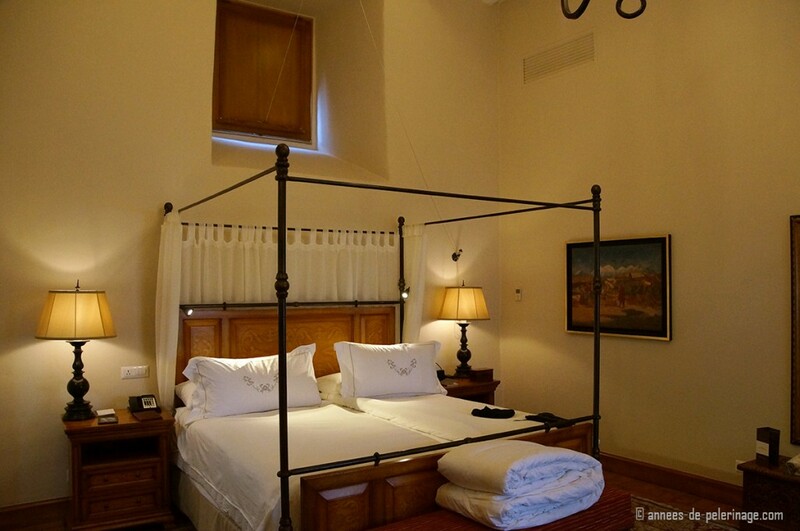 Special note: The Palacio Nazarenas will enrich the room atmosphere with oxygen via the air conditioning. 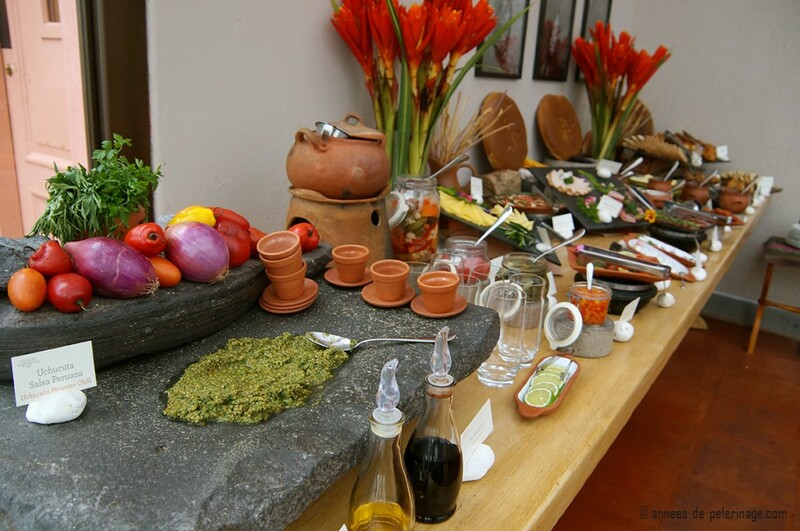 They will also scent the room with Andean flowers and herbs to beat the altitude sickness. 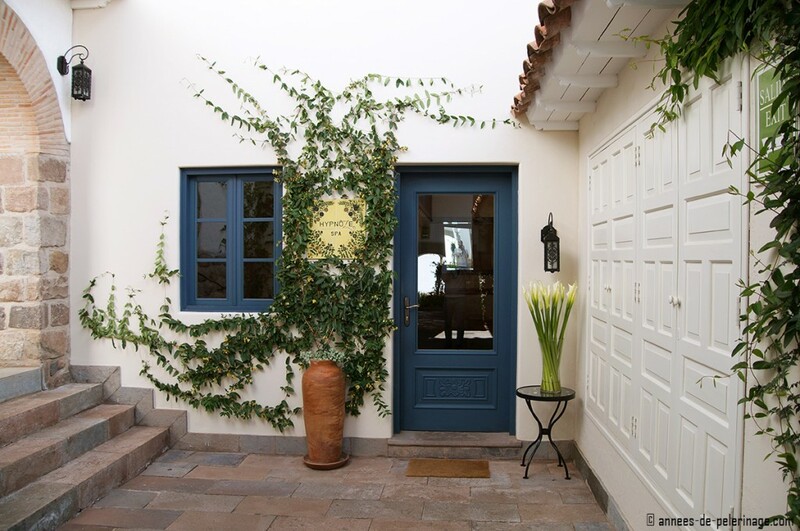 There are a couple of suites with balconies, while I had one on the ground floor, with an enchanting little courtyard right in front of the door. Except for the gardener, I never ever got to see a single person there. My suite also had a sitting room. The bar was fully stocked with soda but also complementary alcoholics like beer and liquor. I gotta admit that I mostly used this room to empty my suite case (though there was a wardrobe in the bathroom). I just love being a (little) messy on vacations! The bathroom of the luxury resort was quite spectacular as well. Okay: I’ll willingly concede that I’d never put that kind of furniture into my house. Within an old colonial convent, it seemed perfectly fitting. But maybe it was the silken day robes that got me convinced. 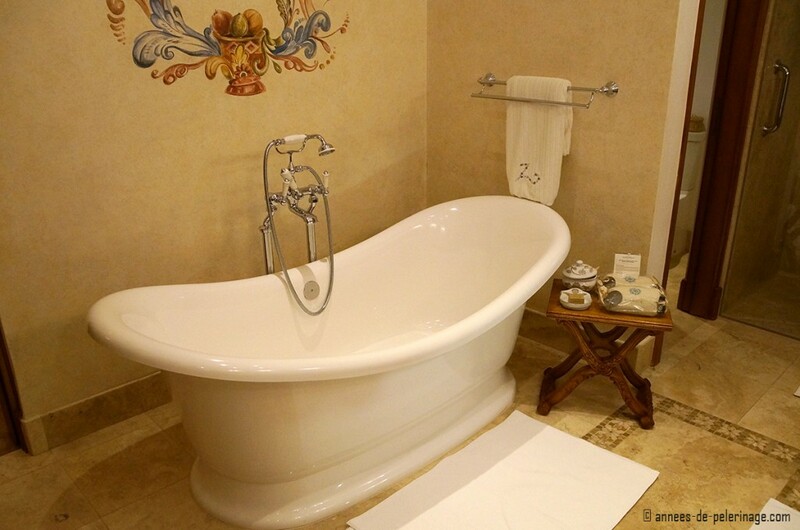 Or was it this lavishly huge bath tub? 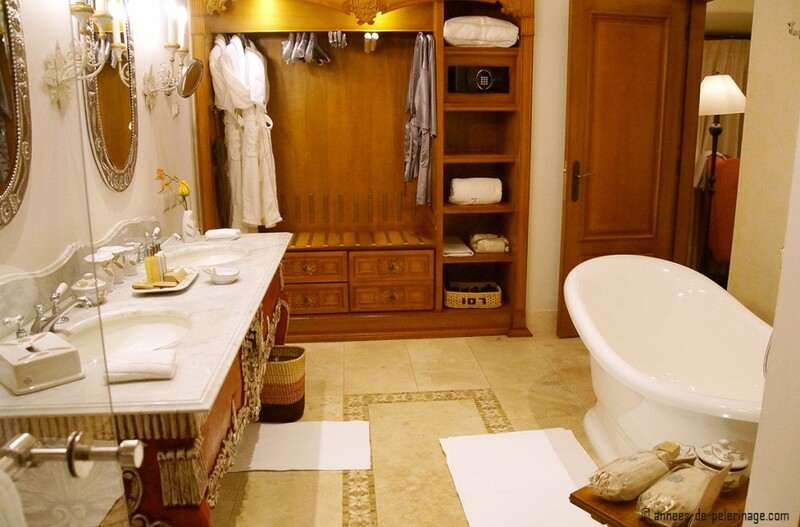 Just give the butler a call, and he’ll prepare a luxurious bath tub with herbs and salts for you! Together with the inbuilt sound system I probably spent too much time here, thinking about all that I have seen in Machu Picchu the week before (not all of it pretty, as you can read here). The most stunning feature of the Palacio Nazarenas is certainly its pool. 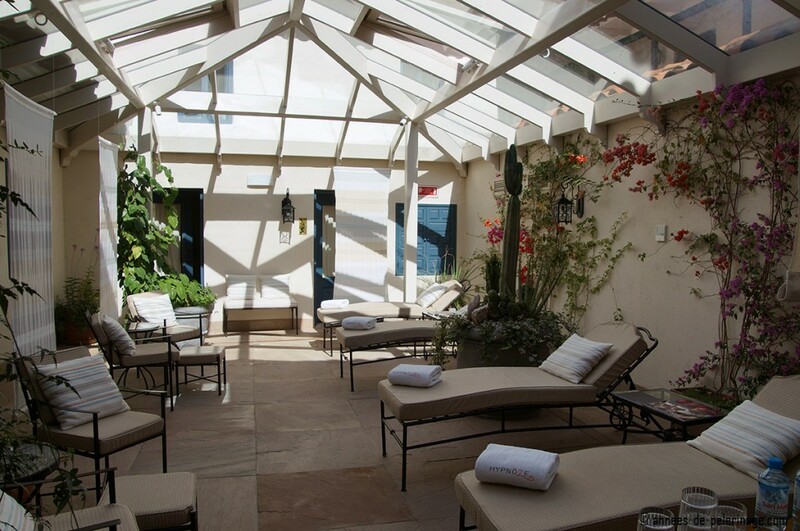 Located inside one of the many courtyards of the former convent, the heated sanctuary will offer you a soothing respite after the travails of the day (How about outstanding Tipon? I’m sure the water gardens of the Inca will blow you mind). Let’s lose a word on breakfast. 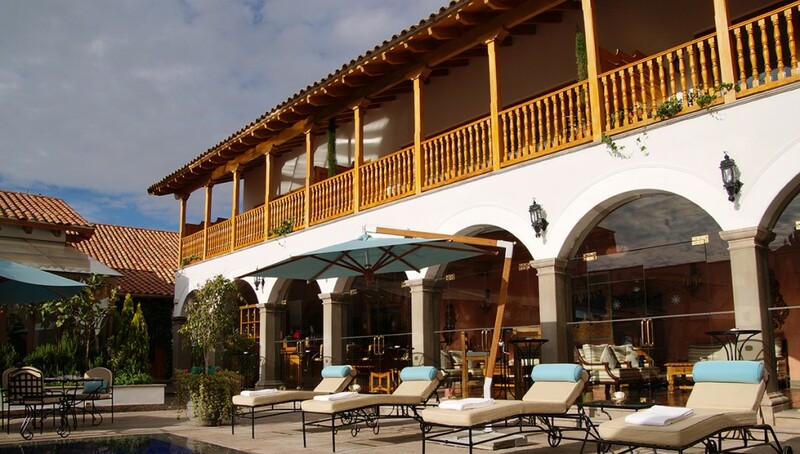 The restaurant of the Palacio Nazarenas is located right next to the outstanding pool. I doubt there is a more beautiful place to enjoy breakfast in Cusco! But even on a cold morning (and there are quite a few) you should definitely not miss out the copious bounties offered at the breakfast buffet. Fresh, authentic and the perfect mix between national and international – there was really nothing more you could ask for. But don’t discount the actual restaurant either. The food is quite decent and the whole courtyard will be illuminated with some kind of enchanting light show in the evening! 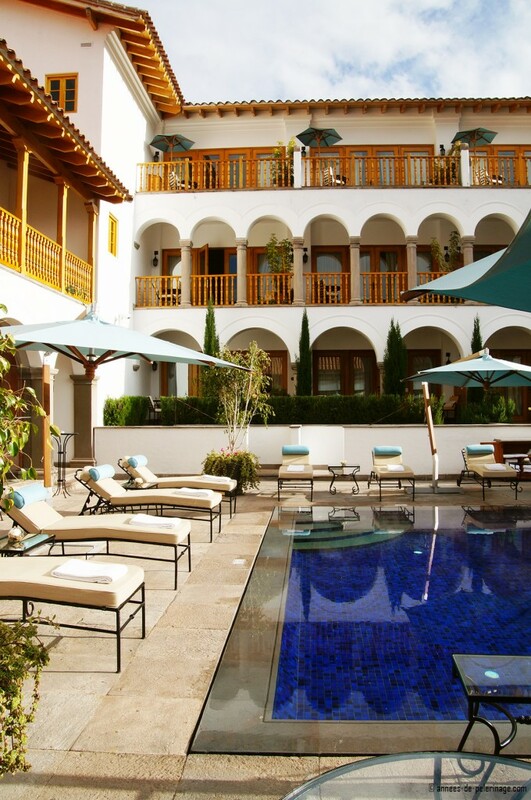 There is not only a lovely pool at the Belmond Palacio Nazarenas but also a wonderful spa! It’s called Hypnoze and offers you everything from facials to massage. The spa menu is quite excessive! They even got special treatments against altitude sickness! I also loved the way how the entrance to the spa was hidden down this little alley within the maze of the convent – much like a little boutique! There is more yet. The Palacio Nazarenas also has a wonderful bar. If you want to enjoy the perfect cocktail in a relaxing colonial setting, I am sure you will enjoy it. It’s quite small, but who needs crowds anyhow? I don’t know where to fit this in, but I have to lose a word about the service at the Belmond Palacio Nazarenas. For Peruvian standards (which are arguably not the highest) they are really outdoing themselves. Getting me a reservation at an actually fully booked restaurant? No big deal! Tickets for the planetarium or shuttle service – here you go! The butler service really was most welcome as well. Daniel was his name and he did mix the best Pisco Sours. He also offered to pack and unpack my luggage and generally was the most helpful person ever. He even spoke a little German – which came as a huge surprise to me! I want to finish my review of the Belmond Palacio Nazarenas with a few more details about the history of the luxury hotel. 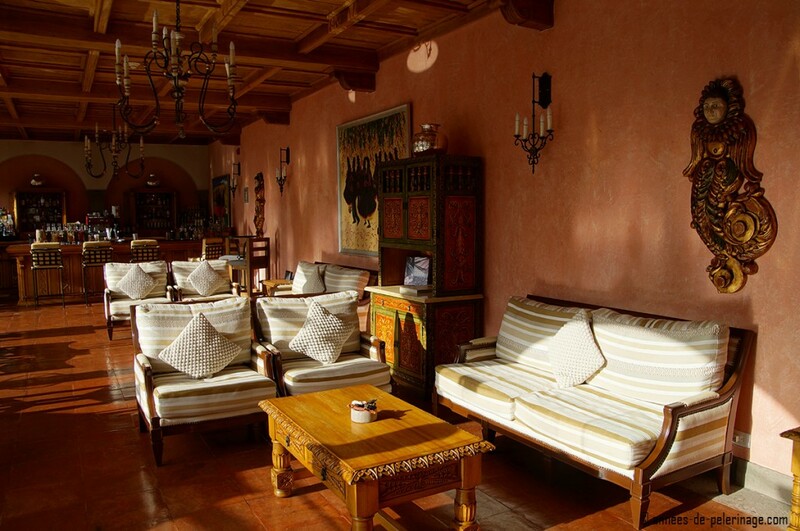 Actually, it’s hard to avoid that rich tapestry of ancient memories while walking the many quiet courtyards of the hotel. In all honesty, the whole hotel might best be seen as a conservation project (reminded me of the Aman at the Summer Palace in Beijing). For example, they found stunning ancient frescos and did their best to preserve them. Part of the hotel is also an ancient church. As far as I know it is sometimes used for weddings and other such Christian occasions. 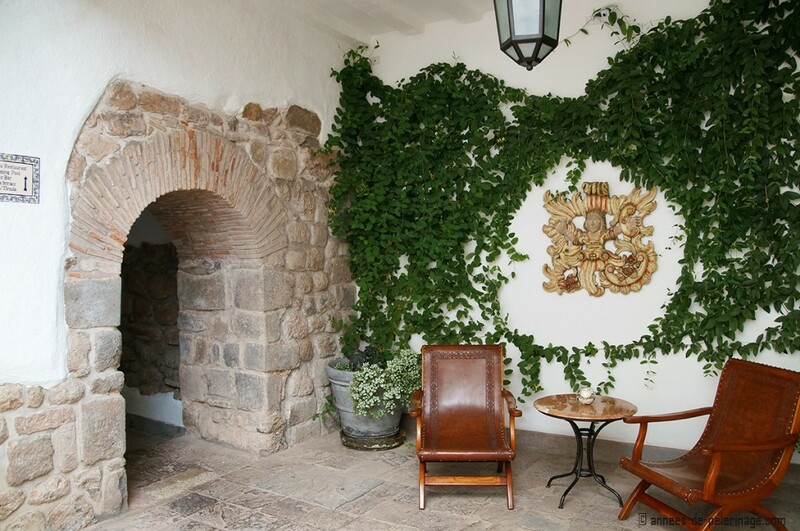 I’m really hard pressed in finding anything to criticize about the Palacio Nazarenas: Location, rooms, service, food, spa – everything screams perfect. 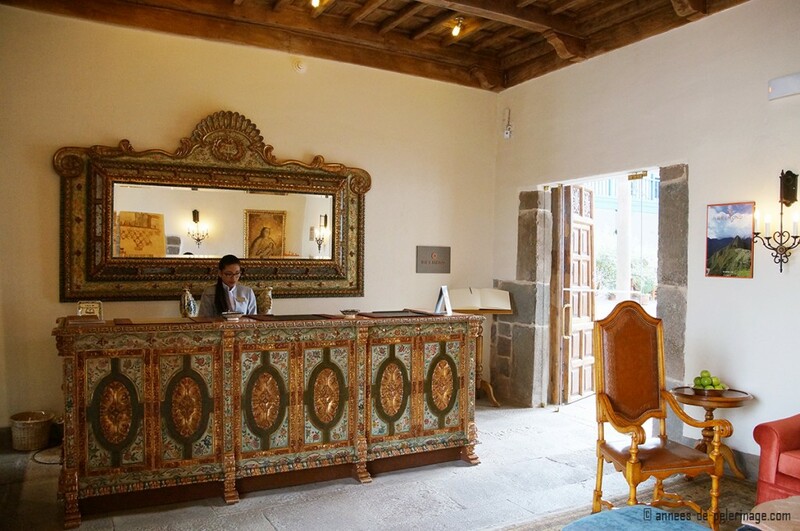 It is such an enchanting boutique hotel, and certainly, the best hotel in Cusco, if not the best luxury hotel in Peru, with a wonderful history and despite its youth (only opened in 2012) already offers quite some tradition. If you are an avid fan of the modern interior design, you might find the suites a bit lacking – but they are luxurious nonetheless. 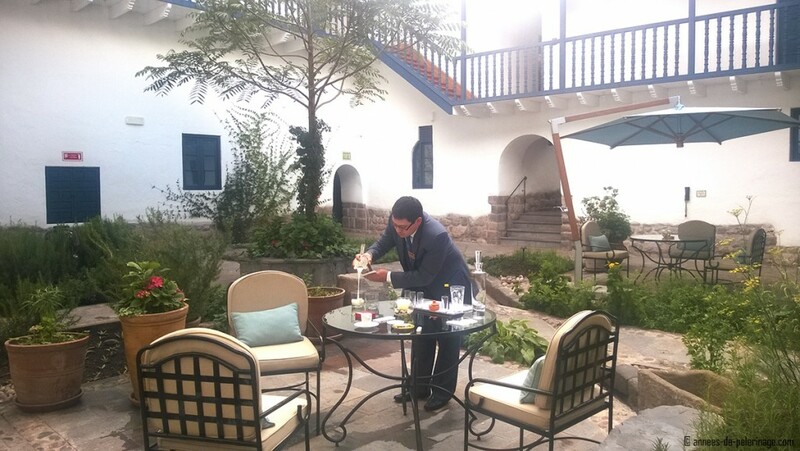 For me, the Belmond hotel really gave me the opportunity to breathe in Cusco’s fabled colonial past before the day even started. Do go! Disclaimer: I had no association with Belmond Palacio Nazarenas whatsoever when writing this review. My opinions are my own, and so was the money that paid for the stay. All in all, I stayed 3 nights at this luxury hotel in their premium suite.